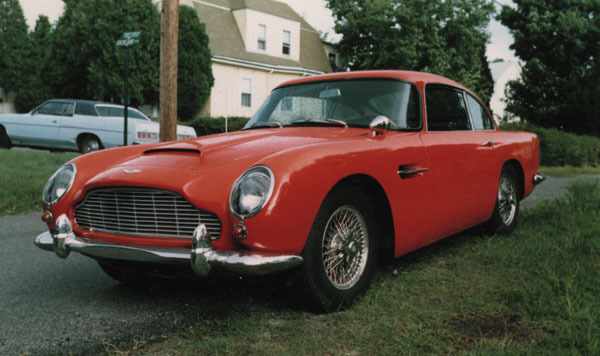 Of the approximately 1,000 DB5 units produced, only 65 had the high-performance Vantage engine. This engine has 3 side-draft Webers and a hotter cam; capable of 325hp according to the factory workshop manual. The body is identical to the standard DB5 except for the addition of rectangular Vantage tags attached on the aluminium trim of the front side vents. I was lucky enough to own this fantastic car for a couple of years - an absolute blast to drive! Check out some pictures I took of a DB5 used in the James Bond movie "Goldfinger"